When space is tight but performance is still a requirement, the patented Piranha nozzle is the answer. At just half the size of its big brother, the Shark, the Piranha still packs a powerful bite. Designed specifically for the GM LT1intakes this system fits perfectly in the F-Body or Corvette. The LT1 Pro is adjustable from 50-300HP. 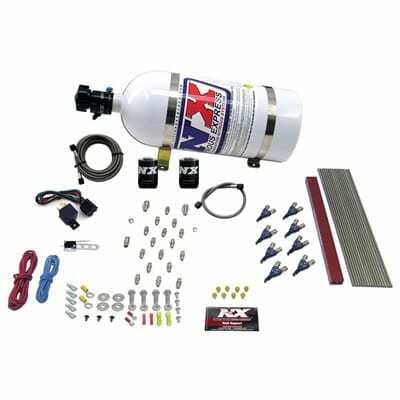 Nitrous system comes complete with nitrous bottle, stainless bottle brackets, Next Generation rail, stainless hard lines, nozzles, jetting, and all necessary electrical components. This system requires the drilling and tapping of intake and NX rail.